The new Downloads page is where you can get free AW177 artwork; the page will be updated every chance I get! First up will be fan art wallpaper from the new Disney/Marvel movie, Guardians of the Galaxy – Star Lord! I have included a regular, widescreen, iPad and iPhone versions of my artwork. Click the links to access the art, right-click and select Save Image As or Set As Desktop Background. 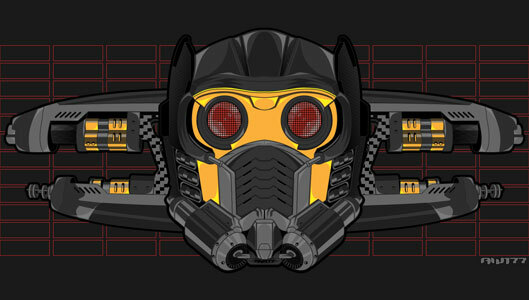 Updated Star Lord free downloadable art – now with his blasters! Changed some of the colors up a little, this will probably be the final version, and I really like how this came out. Hope you do too, enjoy! Click the picture, head over to my new Downloads page! 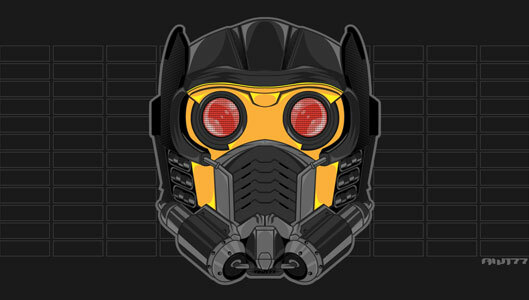 I always thought Star Lord’s mask was pretty cool looking, and the movie looks so damn awesome, so wanted to try drawing one in my style. I actually have plenty of ideas of what else I can add into this picture, but for now, this is pretty good. When I get some free time, I’ll add more elements. Click the picture, head over to my new Downloads page and have yourself some free AW177 Guardians of the Galaxy Star Lord art! A small token of my appreciation to those who follow my work! Thank you and enjoy!